Catch the Daily Show Last Night? Catch the Daily Show last night? 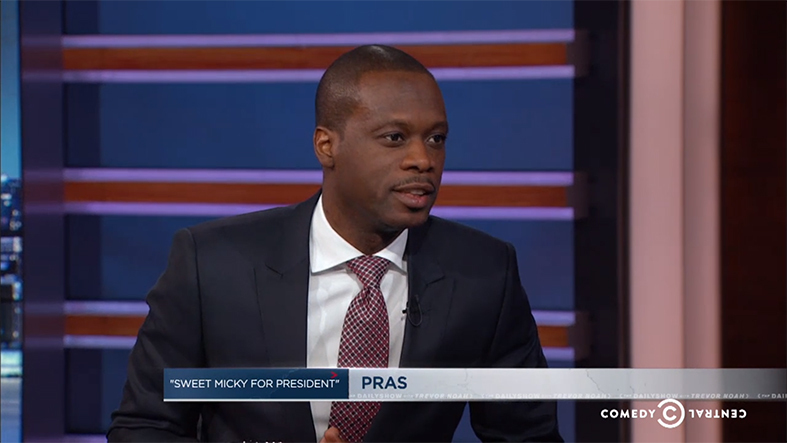 Pras Michel had an amazing interview withTrevor Noah speaking about our film Sweet Micky For President. Check it out here! And if you’re in the LA or NY metro areas you can see Sweet Micky for yourself in select theaters starting this Friday.